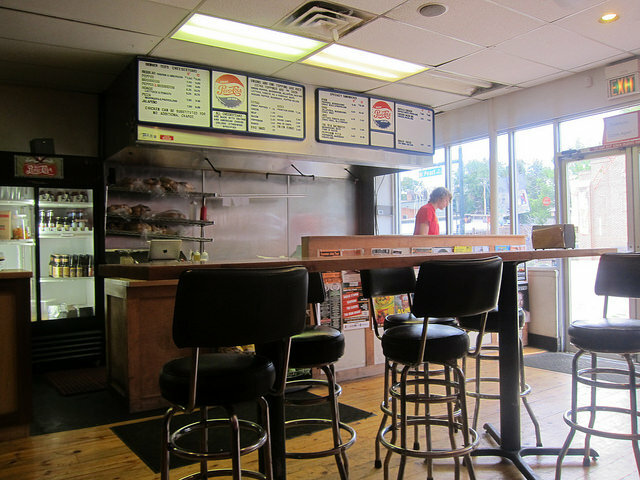 On our first day in Denver, we tried Denver Ted’s for cheesesteaks. It seemed like an agreeable place where regulars got to-go orders and others stuck around for a board game and beer. There were various cheesesteaks and a few other unique sandwiches but I wanted a basic one. 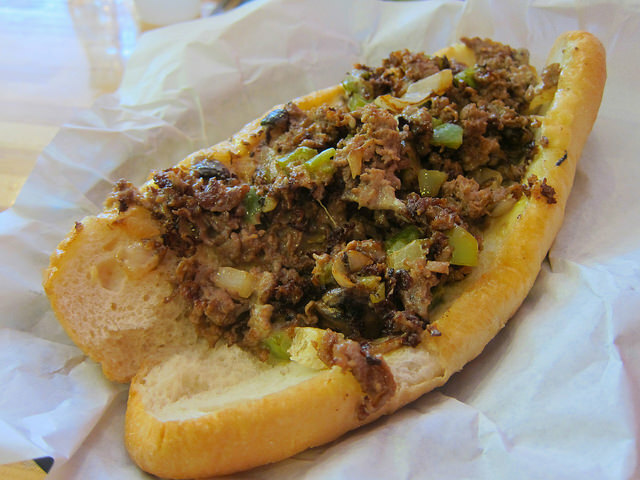 Well, one with mushrooms and peppers but a basic cheesesteak after hours of travel is a thing of beauty. I got a small sandwich and the thing was massive! If I lived in Denver, I’d eat here all the time. And then I’d spend a lot of time at Kilgore Books, the used bookstore across the way. I had a lot of coffee (and tea) while in Denver. 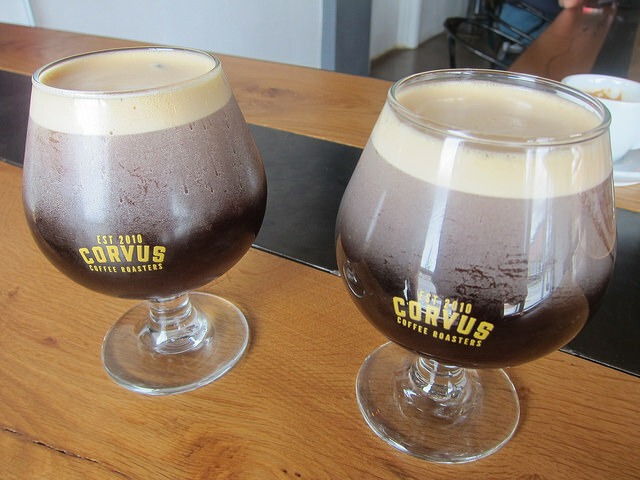 One of the cool spots is Corvus where we tried dry-hopped cold brew that’s on tap (nitro). It’s really cool Corvus does their own roasting and the shop has that industrial sort of feel. My friend and I agreed this was definitely a third wave type of coffee shop. While some place like Pablo’s where we also went to near Denver Ted’s served as a neighborhood coffee shop. If it wasn’t so warm, I probably would have had a hot coffee as well. But as it turns out, I later would have it frozen in the form of an Irish coffee at Star Bar. 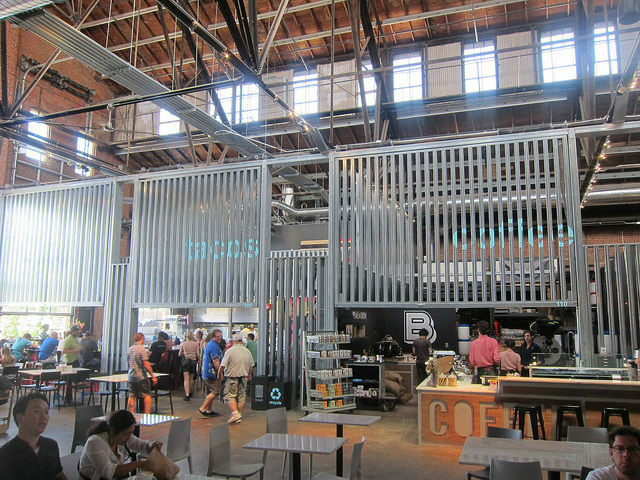 Food halls are all the rage these days and in Denver, there’s The Source. There’s already a hard to get into restaurant there; Acorn, as well as a butcher, booze shop, home goods store, coffee shop and more. Lots more. Denver is thriving right now with new development and it seems there was construction everywhere. Although the source is located in a seemingly empty part of town, I was assured it’ll be built up soon. In the meantime, enjoy plenty of seating and parking. I fell in love with the Proper Pour, a great liquor store at the Source. 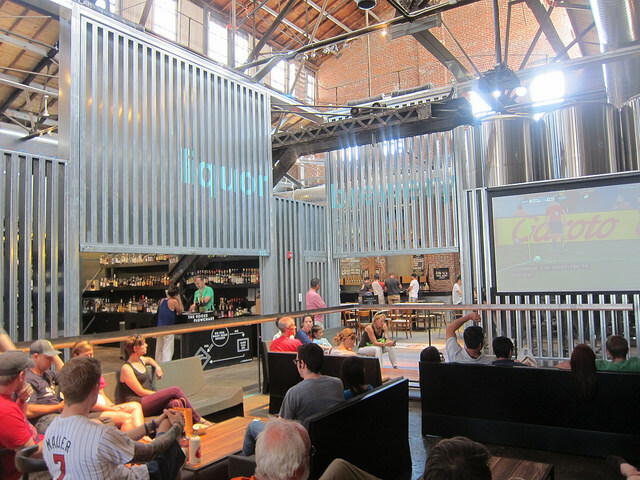 There were so many good spirits and a wonderful place to start for a home enthusiast. 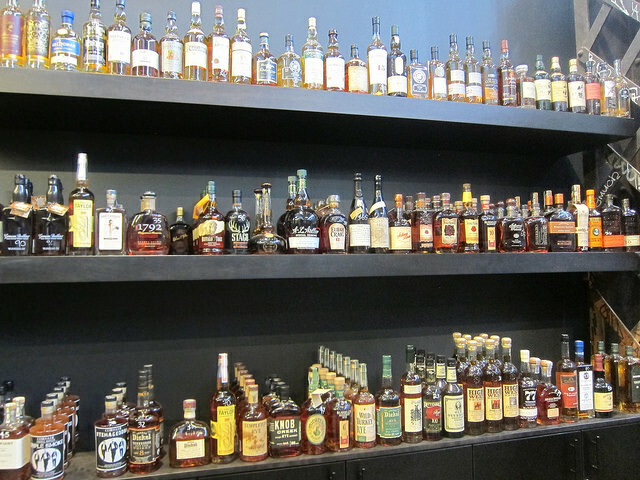 Rows of bitters, amari, whiskey and more. Plus some cocktail books to make proper drinks.